WPJobBoard allows charging users for job postings, memberships and resumes access. The Employers can pay using PayPal, Stripe or Bank Transfer, but, these payment gateways do not issue invoices. If you would like your users to receive an invoice for every payment they make you can use our Sliced Invoices integration. 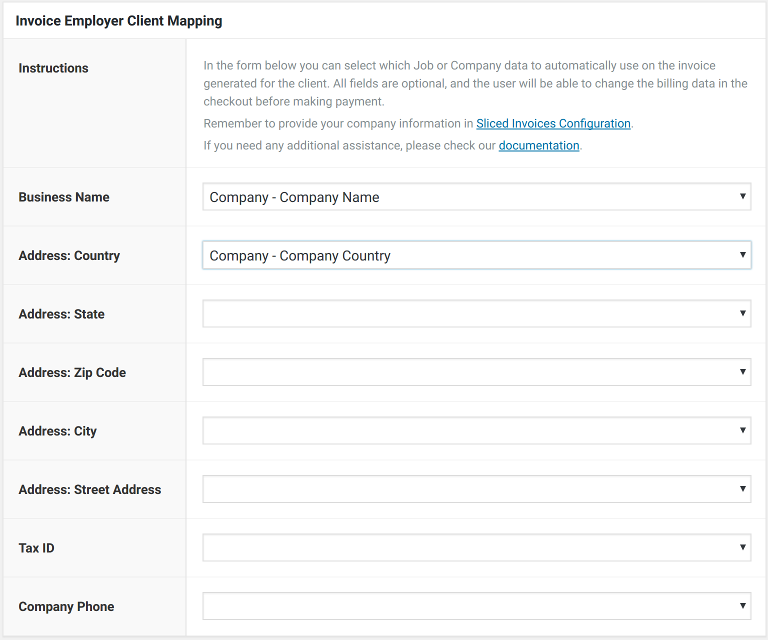 Select which fields in Job or Company form will be automatically used to generate billing data – your users will save time and will not need to enter this information twice. 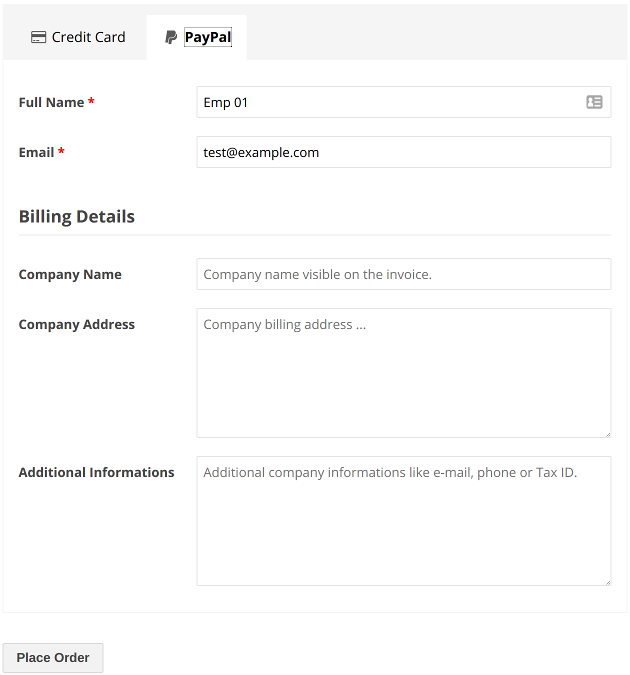 Users before placing an order will be able to enter custom billing data by checking a checkbox in the checkout. Employers will be able to view their invoices from [wpjb_employer_panel] / Payments History section. With the Sliced Invoices add-ons you will be able to allow users downloading PDF invoices. Login to client panel and download the Sliced Invoices extension. 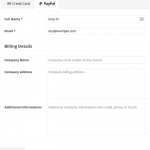 in wp-admin / Plugins / Add New panel search for “Sliced Invoices” plugin and activate it. 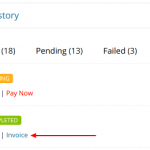 in wp-admin / Plugins / Add New / Upload panel upload and activate the Sliced Invoices Integration downloaded from client panel. 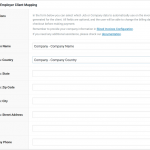 Configure the billing data as explained in Sliced Invoices Integration Documentation. Billing details in the WPJobBoard checkout.